Mizutani's new series, a follow up to his "Tokyo Parrots" series, through which he rapidly received recognition, captures great cormorants, which have exploded in population in the suburbs of Tokyo. Unlike his previous works, this series appears nearly monotone despite being shot in color. He has captured the urban landscape, which has become peculiar due to the presence of these birds, in very graphic compositions that transform the landscape into a two dimensional world without perspectival depth. In Mizutani's images, flocks of great cormorants perched on the overhead power lines, which are a ubiquitous element of the Tokyo sky, become silhouettes that resemble musical notes on a score. 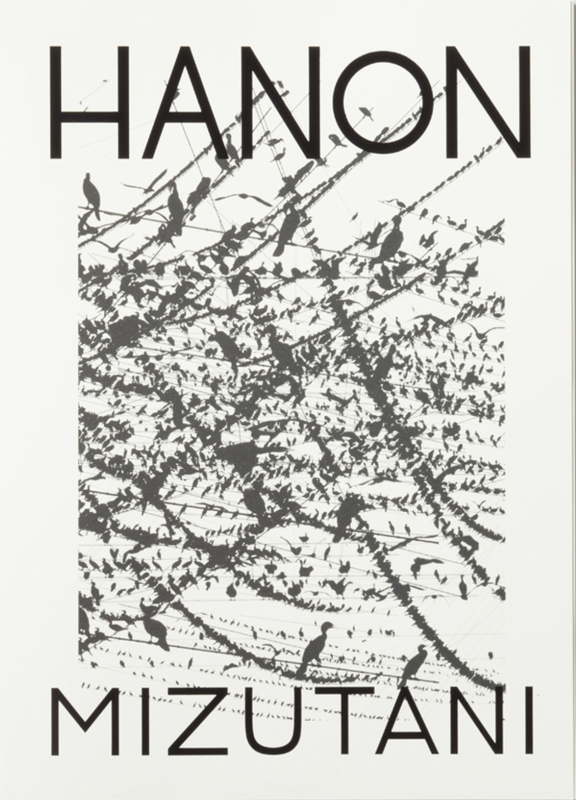 In fact, the book of the series was titled HANON in reference to the French piano instruction book.